Edition Hermes and Edible Schoolyard fundraiser blessing strings, available through october 3rd-28th. Come by and say hi. Spending the summer in California, collecting, recharging and travelling in a country I used to live in. One of my favorite remedies, for various reasons, is the white chrysanthemums flowers for maintaining healthy kidneys. Available in small batches in store now. Acupunctures recommend it for detoxing the liver too. It has a light and subtle taste. Looks beautiful in big glass tea pots, floating. christmas news / 'prayers & wishes' - silk ribbon inspired by japanese o-mikuji paper ties in front of shrines and temples. 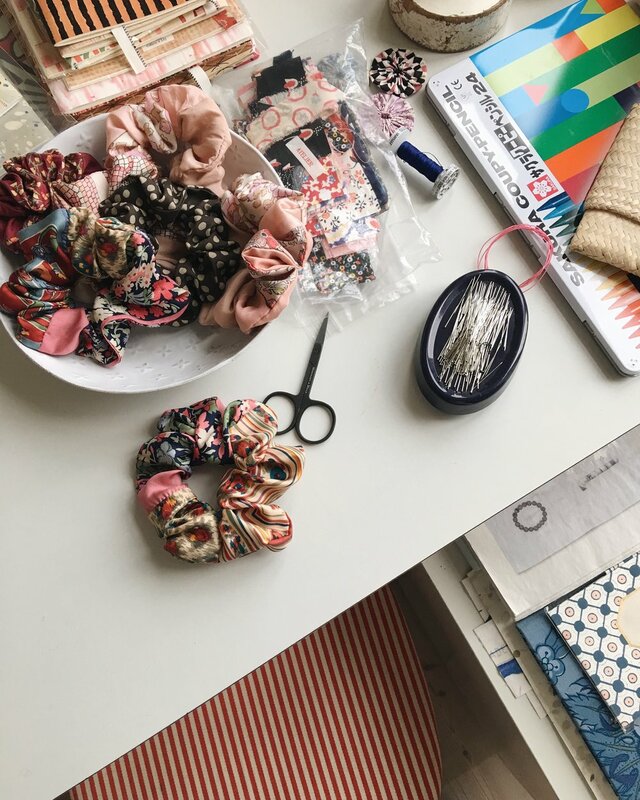 handmade out of the littlest remnants from comfort objects production, tied as ribbons for a zero waste present wrapping by LSJ. order via e-mail or directly.